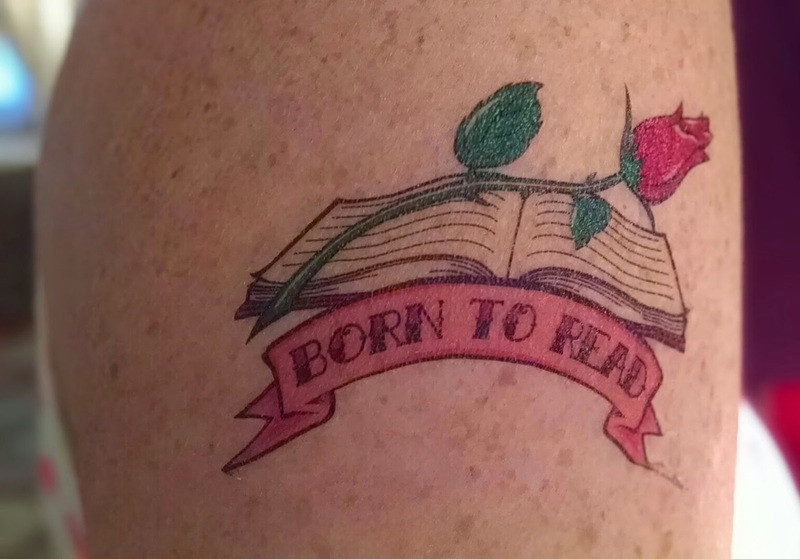 Yesterday I was doing some organizing in my apartment (you know how librarians like to have fun) and I came across a book of "Illustrated Librarian" temporary tattoos that I had received in grad school. Since I graduated approximately eight million years ago, I wanted to see if they still worked - and they did! I've never seriously considered getting a real tattoo...not because I don't like them or because I'm afraid of the pain, but because I'm scared that I'll change my mind about whatever it is I choose as a design. I've toyed with the idea of getting something literary because, you know, BOOKS (side note: the Book Riot crew has a lot of inspirational literary tattoos, which you can see here), but I can't ever seem to be able to commit fully enough to an image or quote...at least not enough to feel good about it literally being a part of my body/skin for the REST OF MY LIFE. However, applying the fake tattoo yesterday kind of got me in the mood to at least THINK about designs, so I asked my insanely talented boyfriend Michael if he'd help me sketch something out, just for fun. (Michael also created this amazing librarian pulp poster a few years ago, so you know he's got talent.) 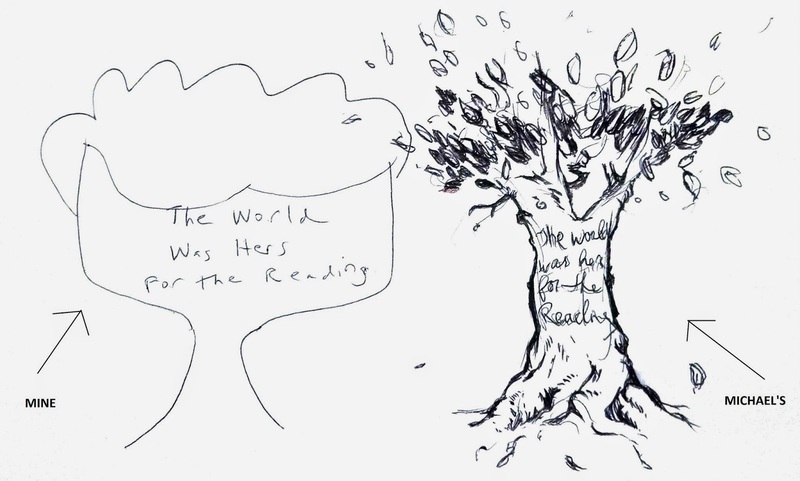 He asked what ideas I had, and I told him that it might be nice to incorporate a part of my favorite quote ("The world was hers for the reading") from my favorite book (A Tree Grows in Brooklyn by Betty Smith) into a related image (a tree. Because I like trees and "tree" is in the book title. I'm so original!) I told him I'd do a rough sketch first to show him what I meant. That's when things went terribly wrong. I love A Tree Grows in Brooklyn and am glad I am not the kind of Iibrarian who keeps just a few recommendations on hand for children. Think long and hard,, I got a tattoo when I was 19 and now am regretting the design. I know a librarian who got one for her 60th - a book on the back of her wrist.